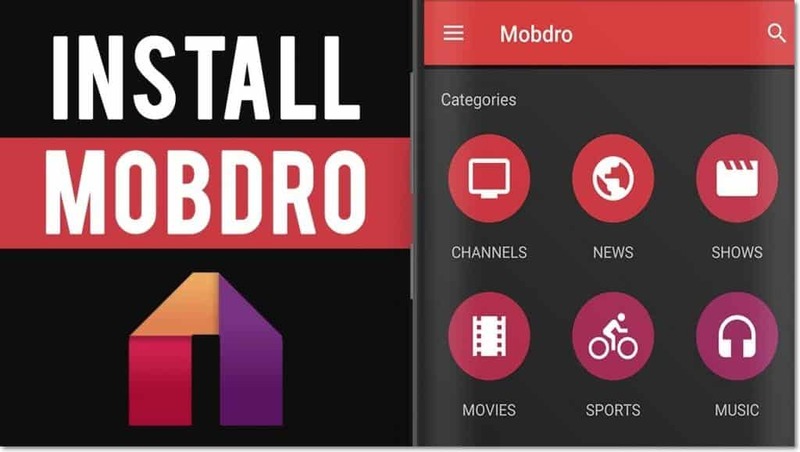 Mobdro is an open source hassle free streaming application that users to safely stream TV shows, movies & videos onto their iphones Androids or other smart devices. It’s important to note that Mobdro is currently only available for Android devices, but through some creative workarounds can be made available on mots smart devices. Without any further ado, lets learn how to install Mobdro on your device of choice. Open your browser and navigate directly to https://www.mobdro.sc/ to download the app from a secure source. Click or tap the “Download the app” to initiate the download. Before you can install the app, you need to ensure that you your device will allow you to download apps from “unknown sources” aka anything outside of the official app store. In order to do this go to settings >> security and select that you allow the installation of apps from “unknown sources”. At the end of the process you will receive a message that says “App Installed”. Once you have received that message the installation process is over and you can start enjoying the app. Click or tap on the following link to download the Mobdro app to your iPhone or iOS device. Once the app has been successfully downloaded the installation process will begin automatically. You might be prompted with a screen that will ask you to click or tap on “Trust” option to use this app. If you don’t receive the prompt and the installation process is stuck then you will need access your phone’s security settings and enable the trust option manually. Once the installation process has completed you should be able to immediately enter and start enjoying the app. Before we dive into the details for installing Mobdro onto your Firestick, it’s important to understand that there are risks to installing any 3rd party app onto your Firestick. It is highly recommended that you use a VPN in while you are using a 3rd party app to mask your IP address and protect your identity. When the installation is complete, you can click “open” and start enjoying your new app!